Hormex Rooting Powdered rooting compound is economical and effective. The fastest way to start new plants from cuttings. 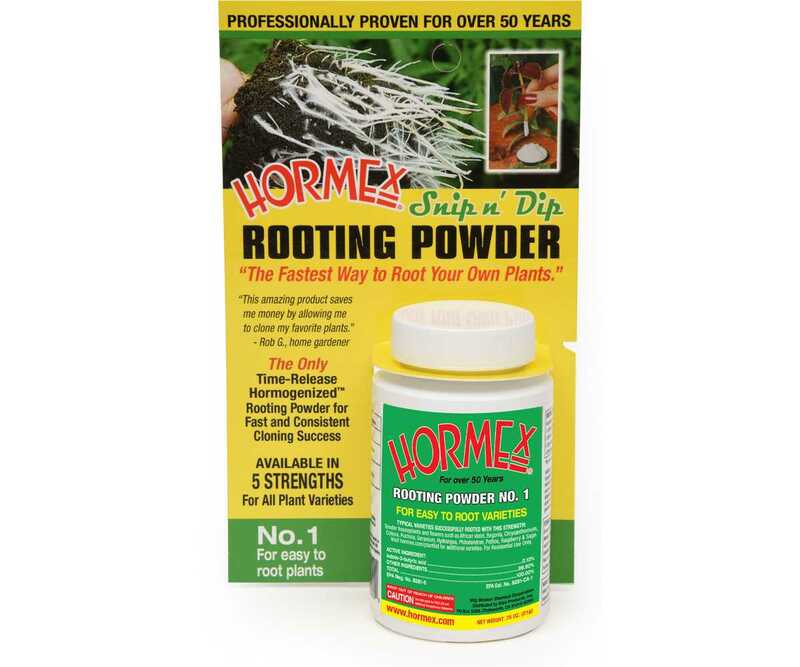 Encourages quick root development faster and healthier growth of new roots from cuttings. Grows new African violets, roses, poinsettias, geraniums and most other popular home, garden and greenhouse varieties.